Like many of his generation Conor Gilsenan headed to London for employment. We started the 5 Up Series three years ago. We were interested to see how aspiring professional players developed and what factors affected their progress. Five players were chosen: one from each of the provinces and a second, from Leinster, who would have another season at underage level the following year. Henderson started at second row against Argentina in the first test in Resistancia. Devin Toner returned for the following week’s game when Rhys Ruddock started at blindside. It was reported in September that Henderson needed surgery on a hip injury and that was it for 2014. He returned in 2015 to start against Leicester in the final European pool game, by which stage Ulster had already been eliminated. During a prolonged absence Henderson had cultivated the yeti look – wonderfully appropriately if you remember this movie – and it didn’t take long to remind Ulster fans what they had missed. The following week Henderson produced a superb display in a dreadful game against England Saxons in Cork before appearing on the bench for both of Ireland’s Six Nations openers. When Sean O’Brien was making his return having been out for ages he was selected for the Wolfhounds and subbed off. He was selected to start the following week against Italy despite media hand-wringing about how prepared he’d be or would his fitness be found wanting. The message I got is that when Seanie is available he gets picked because he’s a super player. As it was he made his international reappearance against France and fitness or not he stuck at it, even grabbing the ball for a throw into a lineout when Rory Best had been sin-binned. Henderson wasn’t far behind and he went straight to the bench for the Italian game after the Wolfhounds match, an indication of how highly rated he is. He was selected on the bench throughout the Six Nations and made appearances in every game, sometimes for brief periods. There’s a degree of subjectivity to be applied in many situations and Henderson’s selection is one. If Henderson was picked to bench in an Ireland team that was losing then I’d be calling for his introduction and frustrated at whatever coach was keeping him out of action. In the situation where Ireland retain the Six Nations I find myself nodding at Schmidt’s sage wisdom of keeping Henderson’s impact on the bench to give the team a shot in the final quarter as well as his ability to create competition for places. Partly because of the interest kindled by writing these articles, neither argument really convinces me. Devin Toner has produced two seasons where he has consistently delivered and is at an age nearer the peak of his career. Peter O’Mahony is another regular feature of Schmidt’s sides who plays back row far more regularly than Henderson but I want to see Henderson selected to start in a big game ahead of either of those two just to satisfy my curiosity. All of this acknowledges that Schmidt sees far more and must have exacting standards but I didn’t agree with the selection of McLaughlin ahead of Jennings for the 2011 Heineken Cup final and that’s what I’m reminded of here. That Henderson could be considered as a starter at second row or blind side gives an indication of his rare ability. I get the feeling that once Henderson gets a shot at a starting jersey that’ll be it for a decade. Whether his opportunity comes before the RWC in September may go some way towards deciding how Ireland perform in that tournament. Last year we detailed Gilsenan’s academic load and his selection of Eoin MacNeill of A&L Goodbody as his mentor. We also noted that Gilsenan had joined Connacht on a loan deal, the first we were aware of in Ireland. The summer time saw Gilsenan draw a (temporary) close to his attendance at Belfield and make a clean break with Leinster as he joined London Irish. After a slow start at Reading, Gilsenan earned starts for London Irish in both the LV Cup and the Premiership. Scottish openside Blair Cowan is first choice number seven but I feel confident in saying Gilsenan has got more game time in England than he’d have gotten in Dublin and viewed in that light his move has already proved a success. Gilsenan finished his Academy contract in 2014 and made a decisive move to London Irish. He gives the impression of being astute about his career and is likely to gain more experience in the Premiership over the next few seasons. A Genuine Openside, Gilsenan is hardly the first to go to England but his decision may be presented in years to come as a template for academy graduates. With starting places locked down by more experienced players then hit the road and get some rugby on board. England and France are big markets for rugby players and if Irish academy graduates are highly regarded enough to earn starts once they’re done then Ireland may start to be regarded as the NZ of the Northern Hemisphere. I am convinced that the best way to get better at rugby is to play rugby and I also consider that different people prosper in different environments. If Gilsenan’s move to England was low profile, the same could not be said for JJ Hanrahan, this season’s cause celebré. Whereas Gilsenan had never started for Leinster before this season and probably wouldn’t have if he’d stayed, Hanrahan has started games at out half for Munster but was selected there far more by Penney than Foley who used him mainly at full back. Munster’s counteroffer once Northampton’s interest became known suggests that they wanted him to stay and didn’t expect him to leave. I wouldn’t be surprised if Hanrahan has a clause in his contract that guarantees him a number of starts at outhalf with Northampton. I think his move is less risky than it initially appeared and the possibility of becoming a utility-back squad player would have reduced the lustre attached to his underage career. His willingness to force the issue saw his price rise and in a few years’ time it might be that Northampton got themselves a bargain. Unlike Hanrahan, there’s no doubting Luke McGrath’s position, he is a scrum half. McGrath’s specialism affords him a rare good opportunity in the Leinster squad as the two top dogs, Isaac Boss and Eoin Reddan, each turn 35 this year. In nearly every other position Leinster have a forbidding age profile for a young player, often with two internationals blocking the way to a first team start. That’s also the case at scrum half but with both Boss and Reddan involved with Ireland and susceptible to injury there are chances available to McGrath. McGrath has started some Pro12 games, been on the bench for European matches and was yet again a core member of Leinster’s B&I Cup team. It still hasn’t quite clicked for him though and I would not be surprised to see Leinster spend big on a test level scrum half during the close season. Scrum half is a position that Ireland struggles with and I’ve no idea why. Wales have produced Lions such as Robert Jones, Rob Howley and Mike Phillips over recent decades, none of whom came from the same mould. The list of world cup winning scrum halves contains a number of impressive names: David Kirk, Nick Farr-Jones, Joost van der Westhuizen, George Gregan, Matt Dawson, Fourie du Preez, and not to forget Piri Weepu. It’s hard to be a great team without a great scrum half. A top level scrum half can pass and kick with a high degree of proficiency, is aerobically fit and is capable of understanding the flow of the game as well as acting on instinct for the benefit of the team. It’s a difficult position to play really well and is one of the most influential positions on the pitch; a good scrum half can make a team while a bad one can consign it to mediocrity. A smooth distribution is the hall mark of a good scrum half and unfortunately this is an area where McGrath has struggled this season. He’s got a decent break and is a good tackler but his passing is erratic and seems to have gotten worse in the last season. Layden was recontracted to the Connacht Academy after completing his three years to the end of the 2013/14 season as injury had blighted his season. He started the first Pro12 league game against the Dragons and also started against the Ospreys, both appearances coming at full back. Since then he has mixed levels with frequent appearances for the Eagles team being augmented by AIL matches for Buccaneers. Mils Muliaina and Daragh Leader, called into the Irish training squad for the November tests, have dominated the full back position while Danie Poolman, Niyi Adeolokun and Matt Healy have combined most frequently on the wing. Lam hasn’t been eager to throw Layden in at the top level and it seems that he has been unable to fulfil his potential in recent seasons due to a combination of injuries and consequent lack of confidence. The report from the Shannon match hints at rejuvenation in form but with the B&I Cup over for Connacht, Layden must hope that Lam is prepared to select him based on performances in the AIL, what he sees in training and to satisfy his curiosity presuming that he still has some. We also labelled Year 2 (away from u20) as “the end of the beginning for the first 5 Up class.” Given some time for that idea to breathe, I’m happy to view it in that light still which makes this year the first of the rest of their lives. The progress made out of academies suggests something about the shape of the game in Ireland. Henderson and McGrath are contracted to play in Ireland. Hendo signed a three year deal with the IRFU in February 2015 while McGrath signed a senior contract with Leinster in 2014. Hendo was a serious prospect who is becoming a serious player, it’s no great leap to imagine him vying with Alun Wyn Jones, Joe Launchbury and the Gray brothers for the Lions test spots in 2017 and 2021. I made the comparison with Brodie Retallick in an earlier article and Retallick was named as World Rugby’s Player of the Year for 2014. Keeping him in Ireland was a priority for the IRFU. McGrath plays in a specialist position where the two senior players are in their mid-thirties, incentivising his province to retain him. Gilsenan is in England and Hanrahan will join him next season. There is no white smoke on Layden’s future at the moment. It looks to me that the pro game in Ireland has moved from a nascent or developing stage to a developed state. Pro rosters are filled with players that have always been pros, there’s no legacy amateurs remaining. When compiling the data behind the Age of Aquarius article I saw the development of the Leinster squad due to the influx from the academies. Toulon’s model is based on signing experienced players who are surplus to requirements for their national squads and so are available for club duty as long as injury permits. That option isn’t open to the coaches of the provinces. Furthermore, there are an increasing number of Irish players gaining professional experience abroad, particularly in France and England. Ask yourself how much better Zane Kirchner is than Niall Morris. Is it worth Ben Te’o gaining experience at the expense of Noel Reid or Gary Ringrose when he can’t play for the national team? “All rugby players want to do is play games. It’s no different over here. Every game is a pretty big game. Newcastle would be perceived over here as one of the weaker teams and when we went up there they turned us over. The challenge then for Irish provinces will be identifying which players they want to keep and which ones they are prepared to let go. Next comes the challenge of luring back players who have gone abroad and gained experience but who now have more bargaining power. Joe Schmidt has started 42 players during his time in charge which is almost three teams. It’s now the case that if you are capable of earning of a regular starting spot at one of the provinces you are close to playing international rugby. That’s a tough level to break into so it seems inevitable that more young Irish players will leave for England and France, swelling the numbers of professional players available to the national coach. I expect to hear cries from English and French unions and supporters in future about Irish players clogging up their development pathways. Back at the ranch, Ulster signed 25 year olds Clive Ross and Irish-qualified Kiwi Sean Reidy ahead of Gilsenan. There’s a number of unknown knowns here for the casual observer. Maybe Gilsenan didn’t want to go to Ulster, maybe he wanted to go to London (does Reading count? ), maybe Ulster weren’t alerted to his availability, perhaps they wanted older players rather than academy graduates. Any way you cut it, Chris Henry’s misfortune has provided an opportunity for the two lads and Ross has played 609 minutes in the 18 Pro12 league games to date while Reidy has played 303. Are either of these guys going to play for Ireland? Who knows although this quote from Stephen Ferris “There’s talk of Toulon bringing in Richie McCaw in after the World Cup, and we’re bringing in Clive Ross; no disrespect to Clive Ross but he’s somebody who has played for Lansdowne for the last few seasons and is trying to make the step up.” indicates that those ITK think he won’t. No disrespect. If you’re the IRFU you ideally want the four provinces to have a player in each position who can make the step up to international level. If you’re a provincial coach you want to pick players capable of producing now so that you keep your job at the end of the season or can get a new one if time comes to move on. How players are allocated to provinces or how coaches/directors of rugby are incentivised are two of the challenges facing Irish rugby at the moment. Each will have an impact on the progress of the five young men featured here. This entry was posted in 5 Up and tagged 5 Up 2012, Conor Gilsenan, Iain Henderson, JJ Hanrahan, Luke McGrath, Shane Layden by dementedmole. Bookmark the permalink. Great article again. Regarding Gilsenan Connacht really wanted him and he chose London Irish instead. If he is thinking of pursuing a financial career than going to London one of the top financial hubs makes a lot of sense. As for Layden every time I’ve seen him play at senior level he has being pretty much anonymous. For a guy with a big reputation at youth level he hasn’t replicated it at all where it counts on the field. With Leader the same age and making a big impact and Lam regarding Tiernan O’Halloran as a fullback I’ve worries for Layden. Hope he comes good but right now it’s 50/50. Supposedly Nacewa described Niall Morris as the most skillful young back in the Leinster squad and was shocked Leinster let him go. From what I can see, he has been solid but unspectacular in his three years there. What are your thoughts? 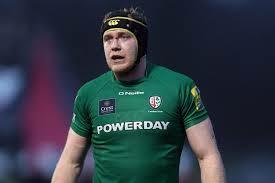 Surprised Eoin Griffin hasn’t made more of an impact with London irish. I always thought he was one of Connacht’s best players in recent years. ‘The New Zealand of the northern hemisphere’…. I dunno but it feels like we are still on a fairly impressive upward curve and have certainly reached the stage of being a net exporter of talent. Whatever about Toulon signing Richie, it’ll cost a fair bit to replace all their ageing stars over the next few years. Hard to see that as a sustainable model. Leinster for example have to just replace Jennings (and there are high quality kids ready to do it) and probably darcy and their scrum halves. To that end I do think McGrath has had a healthy apprenticeship over a few years and when his time comes to be the main man he will be ready to do it. Just to keep up the tradition of furlong always getting a mention despite not being featured….hell of a cameo from the lad tonight. On Henderson I think he is liable to be a specialist impact sub who can cover the two rows until after the rwc. Part of paulie talking about retiring was words to the effect of ‘I know there are good young fellas coming through and they need to get their chance too.’ You’d have to think he is pretty impressed by Henderson at that rate of goin and sees him as a lock. I’m going off topic here but Cronin, Henderson, Moore could all be argued as ready to start but together they offer massive change up pace from the bench. I think they’ll all have to wait until 2016 to become the starting first choice players. With reddan and madigan fairly well established as specialist international subs now too on top of that it is a formidable bench. It should be pointed out that toner continues to be very important (and still under rated, although not usually by you I know…..or by stuey barnes) to this irish team and their set piece. There are certain packs that having Henderson at 6 against them could be really handy now though and he could put some heat on o’mahony I think for some games. It’s not hard to see a substitution of hendo into the row, sob to 6 and an openside sub coming in for the last 30 mins after slugging it out up to that. I am really surprised Schmidt hasn’t used that move more actually. It worked a lot with the scenario you mentioned above with McLaughlin-sob-Jennings and I thought the chiefs and BNZ have used Sam cane really well in a similar way. Incidentally I think England are missing a trick not using robshaw like that too. Finally, thanks for the work mole. A brilliant series. Great to have another update, always welcome. Gilsenan looked really handy while at Connacht, we could have used him even more this year. Luke McGrath has generally been very good this calendar year bar the Dragons game where he had a bit of a nightmare. He has the occasional poor pass but no more or less than Reddan/Boss. Hopefully MOC is forced to play him next year, because right now he hasn’t been given enough gametime to judge if he will be good enough or not. – Gilsenan, good move for him. – Henderson looks a great athlete. I’d say he’ll remain as an impact sub for the time being but its good to remember he is years off his best. – Hanrahan has made the right move for himself. He might get better guidance there from Alex King and I expect Hanrahan to pass out Myler by next christmas if he is give the chance. It looks to me like Foley is refusing to play him at 10 in case he plays too well which would put Foley under pressure. – McGrath is a small man but a great athlete. His passing and kicking will decide his future. He struggled with his passing a few years back when I watched him. The likes of Gilsenan is indeed part of an ever growing trend of Irish players moving abroad. The hope is a few will be good enough to return home, One of the IRFU members mentioned that last year in an article. He said he wanted to see an over supply of quality Irish players witht he provinces keeping the cream of the crop. The Toulon model was mentioned above. Toulon are doing well with their niche signing strategy. Signing experience, fringe internationals who have won things was a successful strategy but other teams have more money nowadays and there’ll probably be less of those type of players available to sign. It also highlights something else. That there is such a thing as a winning mentality. Toulon brought in players who had won things like world cups etc. They had the experience and the winning belief etc. Its no wonder that they beat Clermont in the final a few years ago despite being outplayed. Winners seem to make their own luck and can tough it out when under pressure.